WordPress is the most popular content management system (CMS) and online publishing platform for several reasons, including ease of use, rich plug-in architecture, versatility, and vibrant open-source development community. One of the most important reasons for the widespread WordPress adoption is the variety of methods it offers to make content seem attractive. Fresh and interesting content is what really drives visitors to online properties these days, and WordPress offers web publishers, SEO professionals, and Internet marketers many different ways to highlight content. Among the many lessons web professionals have learned from Web 2.0 and the social media explosion is the importance of engaging visitors, to make them feel relevant and connected to the sites they visit. One way to accomplish meaningful engagement is by giving them opportunities to get to know their authors better. Content may be king, but visitors are entitled to know about the kingmakers behind the subject matter that keeps them coming back from more. Author biographies are important to a site that features content, any kind of content. An effective bio page works in similar fashion to a landing page, and in fact this is a strategy used in article marketing. Webmasters who want to drive traffic to their sites by submitting content to article repositories may excel at creating compelling content, but they also run the risk of readers clicking on other articles as they continue their satisfy their interest. One way to mitigate this is by offering a link to a biography page when possible. An effective WordPress bio page can have a greater impact than the proverbial “About” page, and for this reason it deserves to be thoughtfully designed and tricked out. The type of visitors who click on an author’s bio page will do so because they are interested from a human angle to know more about the person who wrote the article, took the photo, created the video, or simply linked to other content with a captivating remark. These are visitors who want to be engaged, and thus they deserve to land in a WordPress page that will live up to their expectations. Not too many WordPress Themes have attractive author pages, but a few are worth evaluating. Advanced users can review the Author Templates page from the WordPress codex, which includes a basic sample template file that can be spruced up with CSS. Premium WordPress themes that are marketed with writers in mind are usually worth evaluating. Biographical information: This should be a concise but emotionally appealing story. Photograph or illustration: Even if the author is camera shy, the image displayed must be aesthetic. Relevant links: If the author’s content has been featured elsewhere, this is a good opportunity to showcase it. Social media plug-ins: Readers who are interested in bio pages may also wish to connect with the author. Some bloggers take the easy way out of pinning a biographical post written as a welcome message to the homepage. This can defined from the Dashboard – Options –Reading – Front Page. This is a bit of a bootstrap solution, but it will work as long as it contains the basic elements described above. The single most important reason for tricking out a WordPress author page has to do with Search Engine Optimization (SEO). Under Google’s most recent evolution of its algorithm with regard to its Search Engine Results Page (SERP) give preference to content that possesses an authorship, particularly if it involves a verified Google+ profile and adding rel=”author” and rel=”me” elements on WordPress. Adding rel=”author” elements to WordPress will make it easier for Google to identify authors for every post. This can be accomplished by checking the Link Relationship (XFN) option on the WordPress Screen Options menu. This menu can be further edited to include the URL, navigation label and link relationship, which should read “author.” By following these steps, content will be optimized and will achieve greater SERP prominence. 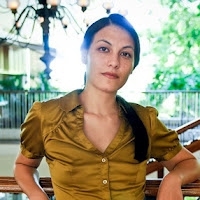 About the author: Online Business Hosting Advice – Juliana is an Online Business Manager businesses based in Los Angeles and provides advice to customers of InMotion Hosting, well known for the best dedicated server Hosting Plans. Please reach out on Twitter @JulianaPayson and google plus for more Business Hosting advice for your website.